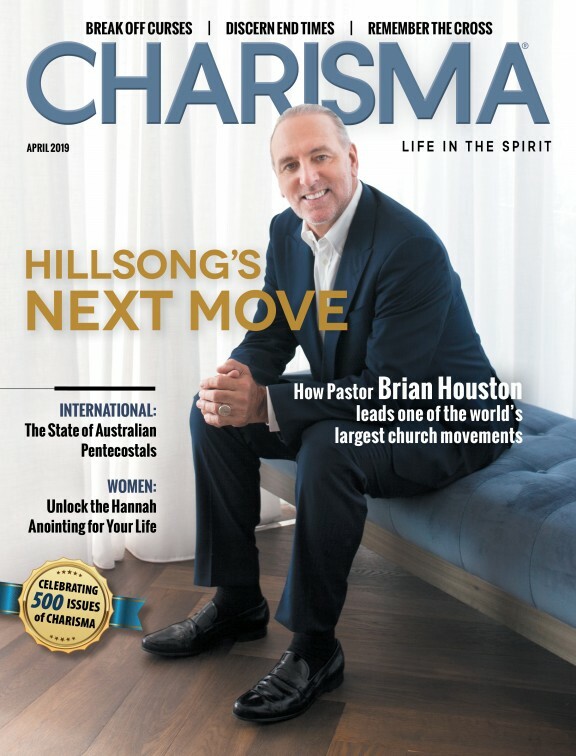 This article was featured in the July 2018 issue of Charisma. Stephen Strang: The New York Times published a long article on how successful Liberty University is, but it was also somewhat critical. Do you think it was fair? 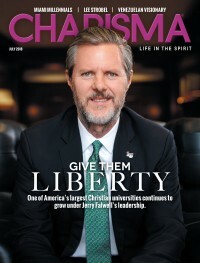 Jerry Falwell: No. There were accounts from former students and employees who said some things that were not accurate—but federal privacy laws forbid us from refuting what the students said. That's an old reporter's trick. They know colleges can't defend themselves because of federal privacy laws. But we wrote a rebuttal. If you look at the rebuttal with the New York Times story, I think you get a pretty good picture of Liberty. Strang: The article implied the quality of Liberty's online classes was inferior to classroom instruction and that some online students couldn't afford it. How do you respond? Falwell: Liberty's is the most affordable online solution available among the top online universities. Many students, including my son, have attended the resident program at Liberty and also took online courses while they were students at Liberty. Every one of them said that the online courses are much more rigorous than traditional resident-type education that most universities have used for years. Strang: Liberty almost went under from 1988 until 1997, and your father went on a 40-day fast to pray. What was your role in that amazing turnaround? Falwell: My role was to negotiate with creditors, to borrow money many weekends from benefactors, institutions and anybody who would help us to cover paychecks that had gone out the Friday before. That's how close to the edge we were. With the exception of a few insiders, Dad and I were pretty much the only ones who knew how close to the edge financially the university was. But he believed it was important not to scare everyone. He felt like it would be a self-fulfilling prophecy if he let everyone know how difficult times were, so he kept it to himself and we just fought it out together. It really makes me appreciate what God has done here in the last 10 years after going through that experience. Strang: Liberty was originally called Lynchburg Baptist College. It is no longer Baptist. In fact, you have many Pentecostal and charismatic students. What is the university's attitude toward the Pentecostal/charismatic doctrines and practices that Baptists have traditionally rejected? Falwell: We've always embraced students from charismatic churches. If you ask one of our co-founders, Elmer Towns, he'll tell you how Liberty was historically very open to Pentecostal and charismatic students who are some of the best students we have. Culturally, I think there is a real common thread with social and political issues between charismatics and Baptists. We've never been branded or known as anti-charismatic in any way, shape or form. Strang: You've taken heat for your early support of Donald Trump, including opposition from some students and faculty. Has that opposition lessened over time? Falwell: Absolutely. In fact, most of the criticism came in the early primaries when there were 16 or 17 candidates, and a lot of the criticism was from [Ted] Cruz supporters. Eventually they came around. I said over and over and over: We're not electing a pastor. We're electing a president. When you choose a doctor, you choose the best you can find. It's the same with a lawyer, a plumber or even an electrician. You choose the best in their field. I think you have to do the same thing. What Jesus meant when he said, "Render unto Caesar the things that are Caesar's" was that He was differentiating between the kingdom of God and the kingdom of Caesar. I don't think He taught that we should support only godly candidates or how to vote. Strang: What do you see in the future for Liberty University? Falwell: We already have academic excellence, but we want to continue to improve in certain areas. We are really investing heavily in our School of Engineering right now. The School of Medicine will graduate its first class this year. Dr. Ben Carson will be the speaker for the medical school graduation. We want to focus on areas where jobs are in high demand and help Christian young people prepare for those fields and to live out the great commandments of Jesus in whatever field they chose: to love God and love their neighbors as themselves. That's the whole purpose of Liberty. Stephen Strang is the founder of Charisma and CEO of Charisma Media. He is the author of the best-selling book God and Donald Trump (FrontLine/Charisma House). Follow him on both Periscope and Twitter (@sstrang) or Facebook (stephenestrang).